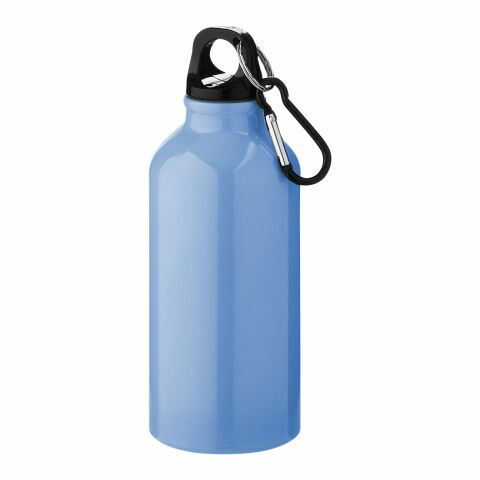 Simple promotional Oregon Drinking Bottle with Karabiner with twist-on lid. Volume capacity is 350ml. Aluminium. Choose the right colour from the range of options and personalise with your company logo.